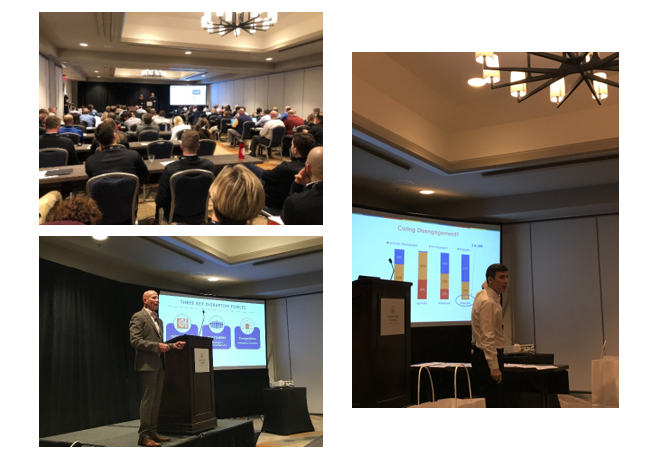 The 2019 Loss Control Summit, presented by Risk Control Technologies, took place from March 18th to 20th at the Coronado Island Marriott Resort & Spa in San Diego. The event was an enormous success, providing attendees with a rich portfolio of guest speakers and RCT themed presentations, as well as boasting the highest attendance numbers since the Summit’s inception in 2017. Focused on the themes of innovation, collaboration, and education, the Summit brought together loss control leaders representing over 50 insurance organizations across the United States and Canada. In addition to supplying a forum for individuals to meet and network with their peers, the Summit provides attendees with thought leadership presentations and discussions on industry trends, best practices and technological advances. An enormous thank you is owed to our guest speakers who play a vital role in making this event exceptional, as well as our clients and attendees who so willingly contribute their insights to discussions. Below you will find highlights from the 2019 Summit. If you have any questions about the 2019 Summit or future events, please feel free to contact us or reach out to Warren Woermke at wwoermke@riskcontroltech.com. Robin Luo, VP of Risk Consulting at Hartford Steam Boiler I&I Co., spoke on the Internet of Things (IoT), one of the hottest topics in insurance circles in recent years, explaining how it will transform insurance and loss control as we know it. As Robin explained, the IoT revolution is being driven by three major trends – cheap hardware, scalable analytics, and ubiquitous connectivity. It is no wonder that the majority of insurance CEOs (likely risk control leaders as well), believe that IoT will be strategically important to their organization in coming years. In addition to discussing how the IoT will enable insurance organizations to provide a new suite of products and services, Robin provided attendees with a variety of use cases and best practices for implementing IoT programs within their company and policyholders’ organizations. Woody Hill, VP and Customer Experience Officer of Texas Mutual Insurance Company delivered an engaging presentation on the ever-increasing importance of innovation and the customer experience in today’s digital age. Historically, the typically risk adverse insurance industry has lagged behind other industries such as retail and banking in areas of innovation. However, times are changing, with a recent survey of senior insurance executives conducted by The Institutes indicating 82% are actively pursuing innovation to improve customer experience and engagement. As Woody explained, insurance carriers are quickly realizing that the traditional single channel approach to customer engagement is no longer adequate. Carriers are adopting the omni-channel approach as customers today expect to engage with their carrier when they want, on the platform they want, with an integrated and seamless experience across the board. Rather than a burden, this rapidly changing landscape provides insurers with the opportunity to gain an unprecedented understanding of their customers, while simultaneously increasing engagement and customer loyalty. Waleed Wadi, Director of Risk Management at Kum & Go, shared thoughts on the importance of salesmanship and soft skills in loss control. Traditionally, insurance organization have hired loss control professionals primarily based on past insurance experience and technical skills, while focusing the vast majority of their professional development efforts similarly. As Waleed explained, there are four often overlooked areas where salesmanship and soft skills provide loss control with significant opportunities – establishing a value proposition, being more than loss control, selling recommendations, and asking better questions. This highly interactive session sparked conversation as attendees shared best practices and various ways in which they are fostering these important skill sets within their teams. Chad Howell, VP of Product Management at Cellcontrol, discussed a pressing issue that continues to increase in prevalence in our industry and society as a whole – mobile device distraction. Most of us are very aware of the dangers of distracted driving and have seen a variety of startling statistics, such as the National Highway Traffic Safety Administration’s estimate that during daylight hours, approximately 481,000 drivers are using cell phones while driving. However, it is important to remember that mobile device distraction does not apply solely to distracted driving, but rather anyplace risk awareness is important to safety, such as construction or oil sites. Thankfully, innovative companies such as Cellcontrol are combining cutting edge technology with industry expertise to allow for enforceable, contextual workplace device policies that improve safety and operational efficiency. The Summit kicked off with a keynote presentation from Garrison Wynn, CSP, who has delivered keynote presentations and safety training for over 20 years. Garrison touched on several areas pertinent to the industry, including what the most influential leaders do differently to influence both employee performance and safety culture. You can learn more about Garrison on his website. The opportunity to network and share ideas with industry peers is consistently cited by attendees as one of their favourite aspects of the Loss Control Summit, as there are few events dedicated solely to risk control leadership. The opportunities to collaborate, discuss industry challenges and trends, as well as different ways in which to leverage the RCT platform, has proven invaluable to attendees. Several events including a welcome reception and dinner/evening entertainment are organized throughout the Summit to aid in facilitating these discussions. 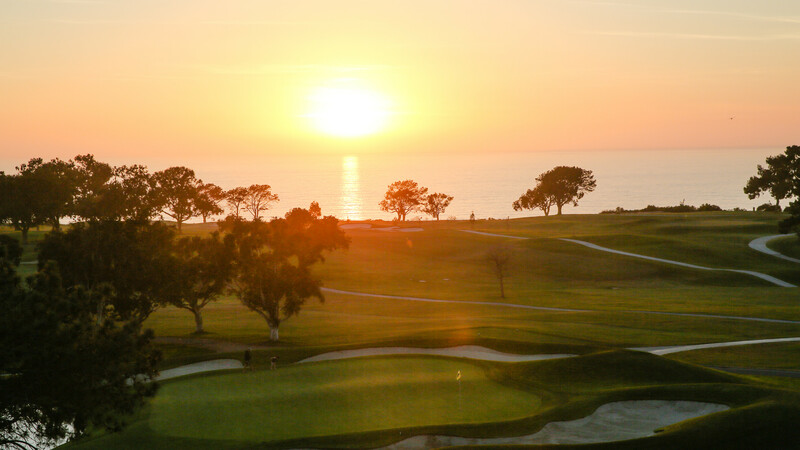 Additionally, this year several groups were able to enjoy a round of golf at the beautiful Torrey Pines Golf Course, home of the PGA Tour’s Farmers Insurance Open. In addition to the fantastic industry speakers and networking events, the RCT team delivered a variety of sessions focused on RCT’s software solutions. We hope you found this recap of the 2019 Loss Control Summit informative. If you have any questions or would like to learn more about future events, please visit LossControlSummit.com or reach out to Warren Woermke at wwoermke@riskcontroltech.com.